Native and weedy radish plants. Weeds in agricultural fields cost farmers $28 billion per year in just the United States alone. When fields are full of weeds the crops do not grow as well. Sometimes weeds even grow better than the crops in the same field. This may make you wonder, how do weeds grow so well compared to other types of plants? 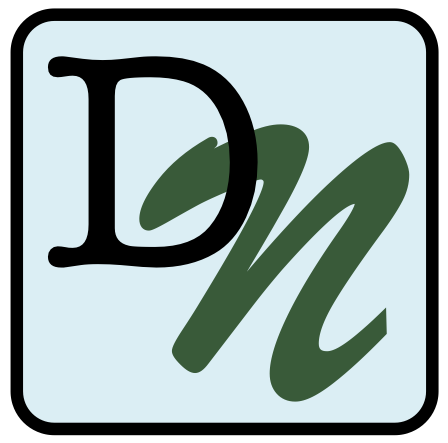 Scientists think that weeds may have evolved certain traits that allow them do well in agricultural fields. These adaptationscould allow them to grow better and pass on more of their genes to the next generation. Weedy radishis considered one of the world’s worst agricultural weeds. This plant has spread around the world and can now be found on every continent except Antarctica. Weedy radish commonly invades wheat and oat fields. It grows better than crops and lowers the amount of food produced in these fields. Weedy radish evolved from native radish only after humans started growing crops. Native radish only grows in natural habitats in the Mediterranean region. Because weedy radish evolved from native radish recently, they are still very closely related. They are so closely related they are actually listed as the same species. 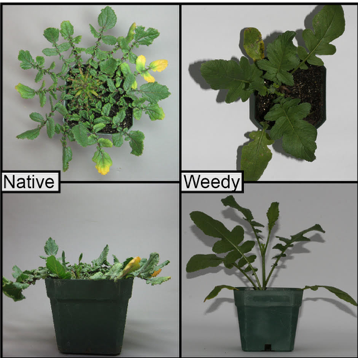 However, some traits have evolved rapidly in weedy radish. For example, native radish grow much slower and take a few months to make flowers. However, weedy radish can make flowers only three weeks after sprouting! In a farmer’s field, the crop might be harvested before a native radish would be able to make any seeds, while weedy radish had plenty of time to make seeds. Ashley collecting data on the traits of weedy and native radish. The differences between native versus weedy radish interested Ashley, a teacher in Michigan. To learn more she sought out a scientist studying this species. She found Jeff, a plant biologist at the Kellogg Biological Station and she joined his lab for a summer to work with him. 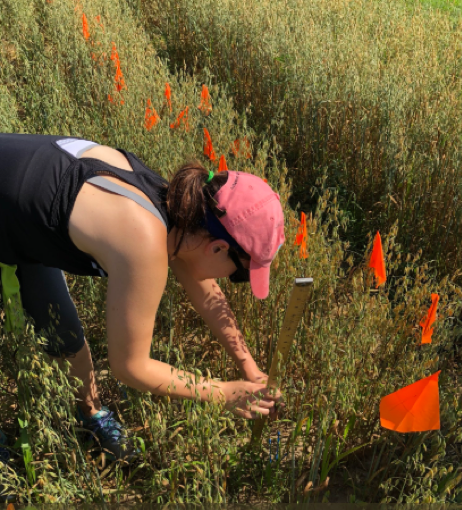 That summer, Ashley ran an experiment where she tested whether the rapid flowering and seed production of weedy radish was an adaptation to life in agricultural fields. Ashley planted four populations of native radish and three populations of weedy radish into fields growing oat crops. Ashley made sure to plant multiple populations of radish to add replication to her experiment. Multiple populations allowed her to see if patterns were the same across populations or if each population grew differently. For each of these populations she measured flowering frequency. This trait is the total number of plants that produced flowers within the limited time between tilling and harvesting. Ashley also measured fitness, by counting the total number of seeds each plant produced over its lifetime. Whichever plant type produced a greater number of seeds had higher fitness. Oats only grow for 12 weeks so if radish plants were going to flower and make seeds they would have to do it fast. Ashley predicted the weedy radish population would produce more flowers and seeds than native radish during the study. Ashley expected few native radish plants would flower before harvest.